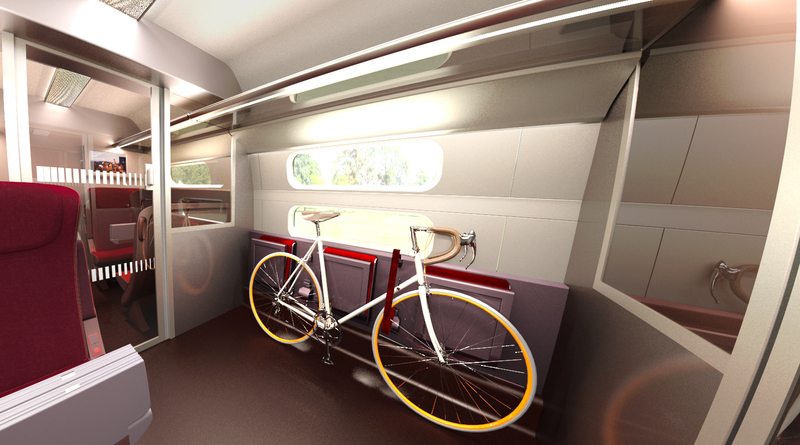 The interior of all Thalys trains is going to be completely revamped. Between 2019 and 2022, the operator will refurbish all its train carriages. The first updated high-speed train will go into service in autumn 2019. For each of the next four years, Thalys is making an annual investment of around 55 million euros in its fleet. The new interior is designed by design agency Yellow Window, the Belgian company of graphic designer Axel Enthoven. The whole process was led by French designer Matali Crasset. The renovation will take place in the SNCF technical centre in Hellemmes-Lille in France. The revamped train has been nicknamed ‘Ruby’ by Thalys staff. The name refers to the precious red stone and the colour found in the whole interior. Thanks to the new design, there will be 7 per cent more seats on the train, and each carriage will have more room for luggage. This means it will even better for the environment to take the train instead of the plane, as more people and more luggage will fit onto a single train. 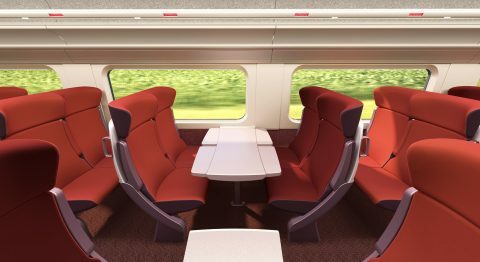 The seats in each carriage will be replaced by a new design, which Thalys says will make the journey even more comfortable. After the refurbishment, it will also be possible to take two bikes on each train. What’s more, while the baristas now stand behind a closed counter, on the new trains they will work in an open space. Thalys is also going to offer a new type of ticket, the ‘Premium Mini’. Currently, passengers who buy a Premium ticket have a lot of flexibility, and can easily rebook their train. Some passengers do not need this option, but would like the other benefits of a Premium ticket, such as a meal. This is what the ‘Premium Mini’ offers, at 30 per cent less than the full Premium price. One stipulation for this ticket will be that at least two people must travel together. From April 2019, the high-speed train will also have new destinations, including Marne-la-Vallée – Chessy station (Disneyland Paris) and Charles de Gaulle airport. For flights with a transfer at Paris-CDG, it may then be easier to do the first leg of the journey by train instead. It also means that it will be easier for passengers to connect to trains on France’s TGV network, to travel onwards to the east or south of France. 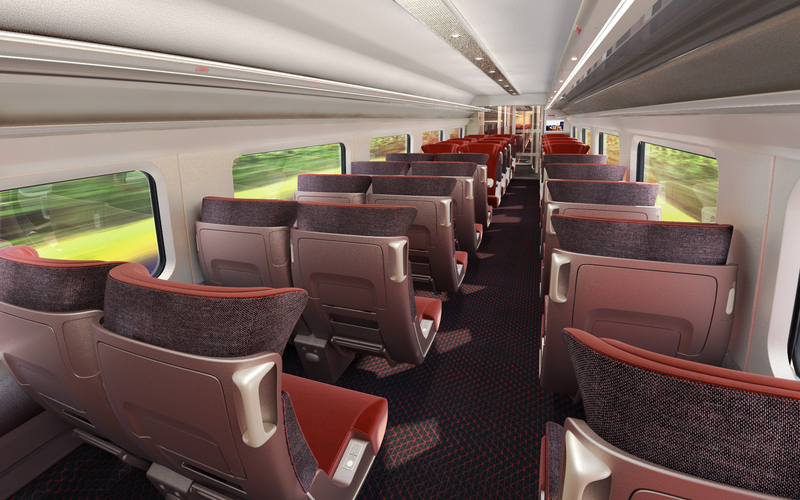 With these changes, Thalys hopes that it will see an increase in passengers. In recent years, the number of people travelling by high-speed trains has been growing and growing. In 2017, the number of passenger kilometres covered was 9.1 per cent higher than in 2016. On the route from the Netherlands, the number of passengers in the first quarter of 2018 increased by 16 per cent. In the second quarter, however, Thalys had to deal with large-scale strikes in France, which led to a temporary reduction in passenger numbers.